The Precision M6300 features Core 2 Extreme X7900 processor option, the NVIDIA’s Quadro graphics, and support for 802.11 a/g and draft-n wireless LAN technology. The XPS M170 takes advantage of Intel’s Pentium M high performance and energy efficient processors to offer the best combination of processing power, weight and battery endurance. 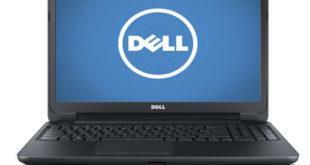 The following drivers are compatible with your XPS M170 and windows XP Operating System. The Dell Vostro 1500 offers following features: Intel Core 2 Duo , WXGA display, 1GB main memory (2x512MB), 80GB HDD, nVidia GeForce 8400 GS graphics card and a small 6 cell battery. Dell XPS M1330 features Intel Core 2 Duo processor and up to 4GB of main memory. It is built on GM965 chipset with integrated Intel GMA X3100 graphics or PM965 chipset paired with dedicated NVIDIA GeForce Go 8400M GS 128MB. Toshiba Satellite A105-S4014 features the Intel Core Duo Processor T2400 with Intel Graphics Media Accelerator 950, 120GB hard drive and 1024MB memory. Toshiba Satellite A105-S4014 also features a fingerprint reader for secure access management as well as harman/kardon speakers. The AudioFire is a multi-track FireWire recording system for Windows and Macintosh computers, With the AudioFire Pre8 you can record 24-bit 96 kHz audio with low latency monitoring on any Windows XP/Vista/7 or Mac OS X computer (desktop or notebook) with a FireWire port. 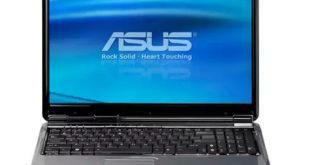 The Asus G50V comes with a 15.4-inch or 15.6-inch display. 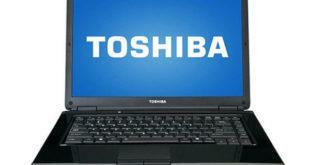 This laptop comes with the Core 2 Duo processor and up to 640GB of hard drive space using two 320GB HDDs. include 2-megapixel web cameras, WiMAX-ready Intel Link 5100 wireless modules, optional Bluetooth. The Vostro A860 features Intel Celeron or Pentium Dual Core processor, GM965 chipset with GMA X3100, 802.11b/g Wi-Fi, optional Bluetooth, Ethernet LAN, and a 56k modem, as well as a single speaker, two USB ports, a PC Card slot, 3-in-1 media card reader, and Firewire.